BFirm is proud to announce the launch of its new school holiday program ‘Battle Games’. The Battle Games program has been designed for Years 3-8 with unique missions each holiday period. 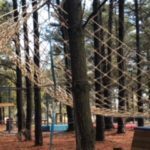 If you want your kids to experience fun and adventure like never before whilst develop teamwork and leadership skills all based around an obstacle course then this is your holiday program destination.